Kicking off on July 21 is the Gold Cup, the ultimate summer tanking tournament. Open to all tankistas who are in the hunt for glory and have that competitive edge, it’s the place to show yourself as one of the best tank football players in the game right now! The tournament will start of first with group stages and then proceed to the knock-outs. In the battle for victory, you will duly be rewarded for landing a prize-winning place. Rewards include: Days of Premium Account, Gold, Premium Tanks, a unique Style, Bonds, and Medals. 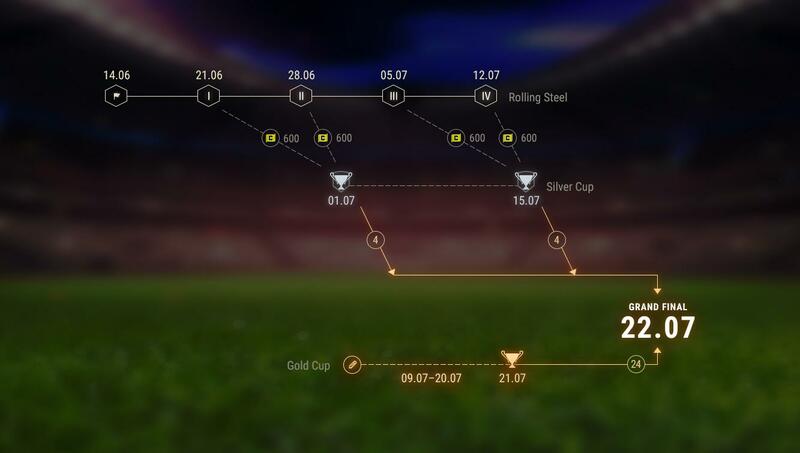 For those who progress and prove themselves on the pitch will be invited to the Grand Final of the Gold Cup tournament where the stakes get even higher. The Grand Final will see the best thirty-two teams battle it out to be crowned champions.